This is not my type of car, but it's pretty interesting to look at. Back when this car was built American cars came with huge option lists. Basically, you bought a fairly basic car and then equipped it whatever way you wanted to. This is a Buick Skylark GS California. The Buick GS (or Grand Sport) was a 401ci V8 monster. 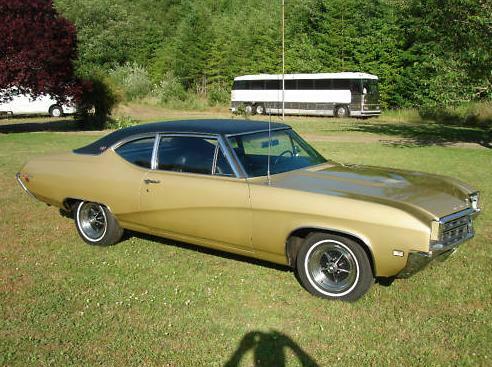 It was a car that was on par with the Oldsmobile 442 and Pontiac GTO. The GS California is essentially a Skylark with a cold air induction 350ci V8 in it. 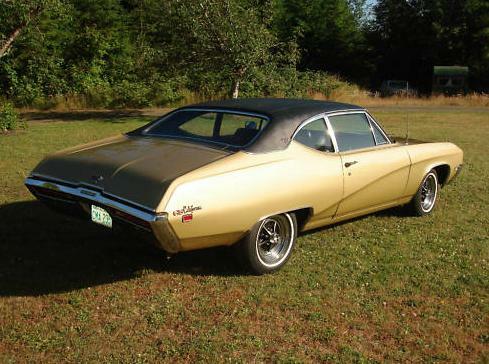 What makes this car really interesting is that except for the motor and some nice wheels, it's a base Skylark. 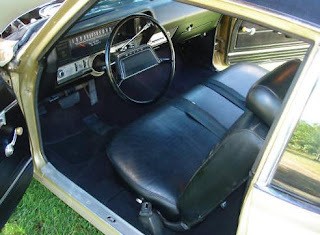 It has a big flat front bench seat covered in utilitarian looking vinyl, a column mounted automatic shifter, manual windows and locks, an instrument cluster with a ribbon speedometer and no special gauges, and only a left side side-view mirror. Except for the engine, wheels and badging, this is about as basic a car as you'll find. I think it's kind of cool that GM would build a car like this. It had just one purpose; to go very fast in a straight line. I'm sure there were loads of "comfort and convience" options you could order on this car, but the original buyer chose not to order many (or any). This is a very nice example of a Skylark GS California. 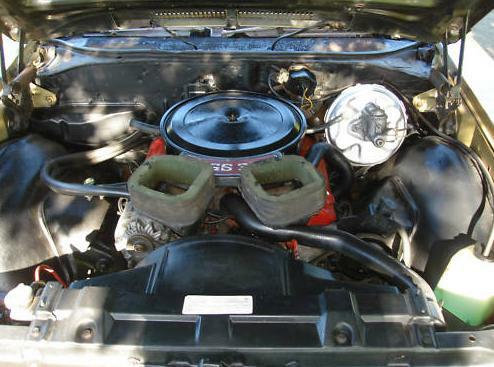 The seller has owned it since 1991 and taken good care of it. I like that he puts this sentence in his ad: "This car is just too good to restore right now. I feel that the car should be enjoyed for the next 10-15 years, and then restored." A Buck GS California is not a car on my list of cars I want to own someday, but if I were in the market for one, I'd be all over this one. It's simplicity is great. Located in McCleary, WA, click here to see the eBay listing.